National developer, Wates Residential, has obtained planning approval for 353 new homes under City of Cardiff Council’s flagship house building programme, which will see the development of 1,500 homes across 40 sites in the city. The approval of five Cardiff sites marks the first milestone in the ‘Cardiff Living’ partnership and follows Wates’ appointment as the council’s development partner in January 2016. Plots so far approved include 192 homes at Willowbrook West in St Mellons, eight homes in Old St Mellons, 31 homes in Llanrumney and 16 homes in Llanishen. The fifth site, located at Braunton Crescent and Clevedon Road in Llanrumney, will be the first plot to be developed. The work will comprise the creation of more than 100 new homes and is scheduled to commence in February next year. The mixed tenure ‘Cardiff Living’ scheme is designed to tackle growing demand for affordable housing in the city, feeding a requirement for an additional 46,600 homes by 2031*. The ten-year programme is set to include approximately 600 council homes, which will be available for rent or assisted home ownership. The remaining 900 homes built under the partnership will be available for sale on the open market. Fulfilling a commitment to improve quality of life for residents, the new homes will provide enhanced living environments that will meet high levels of sustainability and energy efficiency. 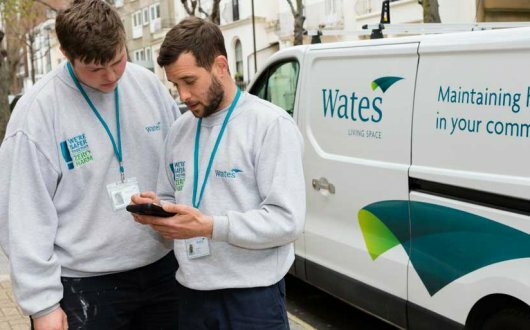 As part of the project, Wates Residential and City of Cardiff Council have made a joint pledge to support the employment of approximately 6,400** people and create 9,000 weeks of training for local residents. This commitment is set to include a host of on-site apprenticeships, work experience placements and structured training programmes across a range of building trades. Cllr Susan Elsmore, Cabinet Member for Health Housing and Wellbeing. “It is evident that there is an increased local need for housing in Cardiff and the council’s ambitious plans will significantly help to address this urgent demand. Securing planning approval for the first five Cardiff Living sites will enable us to kick-start the council’s regeneration strategy to invest in the city’s housing stock and create high-quality, energy efficient homes for the local community.